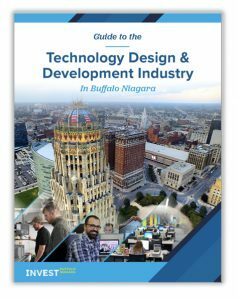 Take a closer look and download this Technology Design & Development Industry guide. View incentive highlights, support resources, real estate options, human resource tips, and a business expansion checklist. RED-INC, a research, engineering, and development provider primarily for the military and defense industries, chose Buffalo Niagara for its 40+ job expansion. Read their story here.